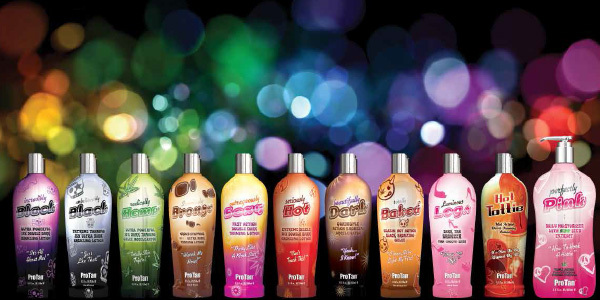 The widest range of quality professional hair and beauty products at the keenest trade prices!! Everything for the hairdresser, beauty therapist, nail technician, holistic therapist, tanning salons and much more. All with a no fuss door to door delivery throughout the UK mainland and channel islands. Free Uk mainland Delivery on all orders of £60 or more! 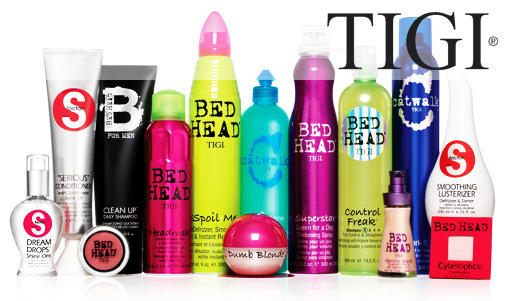 TIGI Bedhead Manipulator is a funky gunk that rocks hair with a coconut scent. Be a master manipulator and get whacked-out hair – spike, twist dreads or go punky. More mainstream? Get body and texture. This blue goo does it all! 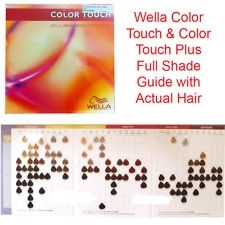 Hair is thickened, with a matte finish and a long lasting, flexible hold. Extreme definition. Extreme hold. Kipa Toffee fibre paste is the ultimate styling product. It's soft smooth pliable texture makes it extremely easy to use while it's extreme hold will style your hair the way you want it. It smells amazing too! 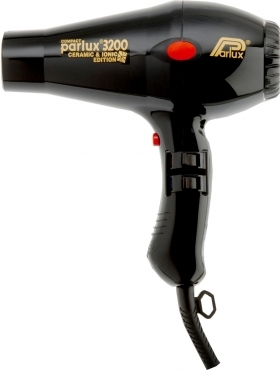 Parlux 3200 Compact professional salon dryer. Vitality Art Absolute hair colour is a fantastic hair colour designed for the finest hair colourists giving infinate possibilities. Vibrant colours with amazing economy from the 100ml tubes. Up to two full heads is easily achievable from every tube. 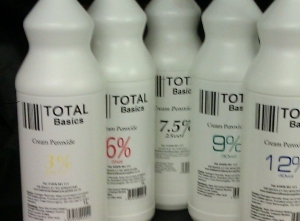 The numbering system is simple to use and the range of 108 colours is comprehensive. 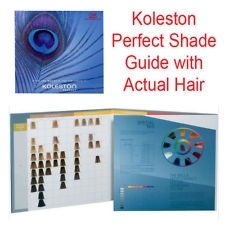 Koleston Perfect offers of a great variety of shades. Fashion reds, extra lightening blondes and good coverage of white hair. 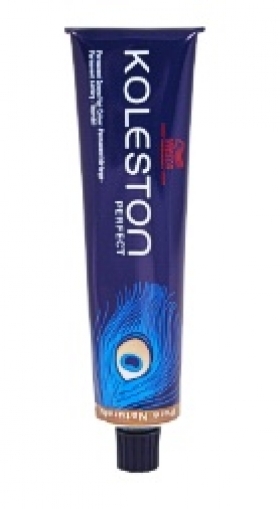 Koleston Perfect provides long lasting colour with unbeatable shine. With more than 107 shades of colour, Koleston Perfect is the answer to any colour request. The shades can also be mixed with each other to provide a unique colour palette. 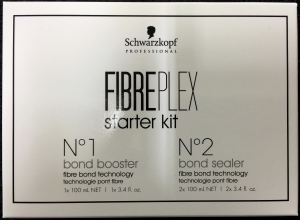 Fibreplex is the great new product from Schwarzkopf which minimises hair breakage by up to 94% when using lightening or colouring systems. 10. 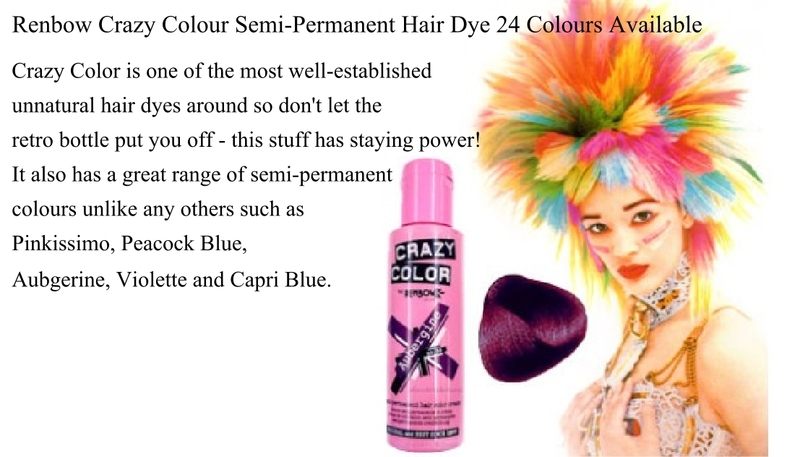 Works with all lightening and colouring systems. Starter kit contains 1x100ml No1 Bond Booster, 2x100ml No2 Bond sealer. This universal conditioning cream activator, with it's smooth consistency has been designed to work in synergy with all new profession cream colours. Helps create perfect colour results, it helps with easy mixing and is available in 5 strengths to satisfy every colouring requirement. Envy is a fabulous all–natural multi–functional 30 minute salon hair treatment that delivers amazing results on any hair type. The Envy Frizzgard Dual Fix Treatment rehydrates and reconstructs, restoring hair from the effects of chemical and heat damage. Treatment is also suitable for curly hair and can be styled as desired immediately after process. Amazing results – Whether a 30 minute treatment or a quick 60 second blast, Envy leaves the hair easy to style, shiny and full of life. 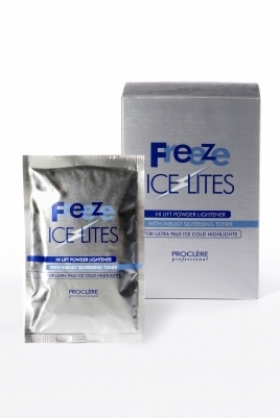 Proclere Freeze Ice lites Blue High lift powder lightener. The bleach for ultra pale ice cold highlights. Sachet shown is not included in the price as shown. 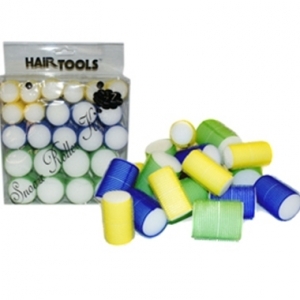 A smooth polishing glaze that leaves hair soft with an incredible reflective quality. The high performance professional dryer. Cling Rollers you can sleep in! Velcro rollers designed with a sponge inner that will flatten when you lay down, allowing you to sleep more comfortably and wake with fantastic curls! Apply to blow dried hair for best results. The velcro rollers grip naturally however you could use hair grips for extra security. Spray with hairspray to fix curls. Headjogs classic nouveau neck brush with a stunning zebra design. 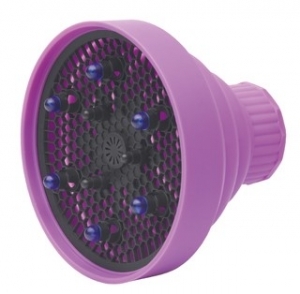 THis detangling brush fits comfortably in the hand and glides painlessly through tangles. Please note the back of the brush is the coloured part, the bristles are always black. 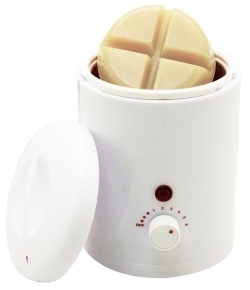 This professional 200ml capacity Wax Heater is specifically designed for use with depilatory warm and hot waxes for salon perfect hair removal or luxurious paraffin heat therapy treatments. 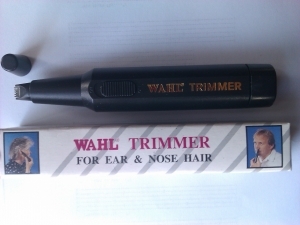 Ideal for mobile therapists, or for use in smaller salons where space is limited. 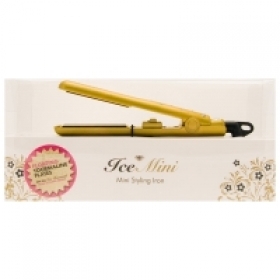 At just 150mm long, this versatile mini iron can be your constant companion. 360* tangle free prfessional swivel cord. Supplied in gift display box. 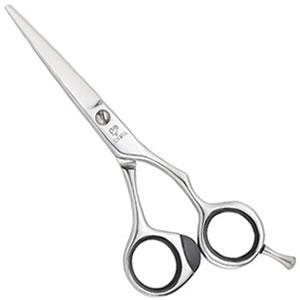 Part of Jaguar's Comfort Class range, this versatile scissor in a stylish satin finish offers you comfort, quality, and durability. 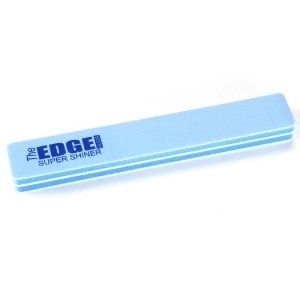 Both blades are hand-honed with razor-sharp edges making them great for most techniques and ideal for slice cutting. 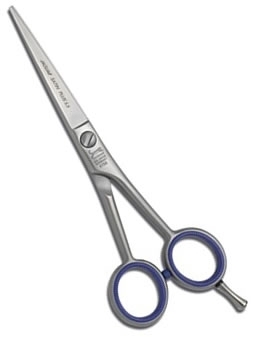 The special Friodur® cooling process used in manufacturing these scissors improves the structure of the stainless steel, giving them long-lasting performance and super sharpness. 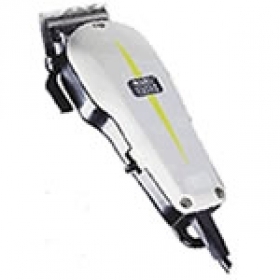 You'll find them really comfortable to use: customise them to suit your personal cutting style with the vario plus tension screw, detachable stopper and finger rest, and changeable finger-ring inserts. Options by Hive waxes are formulated from the highest quality ingredients to ensure excellent and consistent waxing results. A popular choice with professional beauty therapists worldwide. Pro Tan PERFECTLY PINK Daily Moisturiser/Tan Extender with Hemp Seed Extract 650ml. Extending accelerators continuously feed your skin to optimize your colour and results making your skin colour investment last and last. REM Elite Salon Dryer Mobile available with white hood with black trim or all black hood at extra cost. The Elite with a two speed 950 Watt motor. Great Value with big savings on regular price !!!! Miranda Styling Chair ( 04160 ) The Miranda Styling Chair is a hydraulic chair, available in black upholstery only. Revitalise Ear Candles were originally developed by the Hopi Indians of North and South America, and are used to draw out impurities from the ear. The non–burning end is placed in the ear, which creates a vacuum that brings the impurities to the surface. A theraputic and relaxing treatment, scented with Eucalyptus, perfect for clearing the sinuses. REVITALISE EAR CANDLES HAVE BEEN TESTED, ACCREDITED AND CERTIFIED ACCORDING TO THE EUROPEAN MEDICAL DEVICE DIRECTIVE 93/42 CLASS 1 AND CARRY THE CE MARK. Also available in counter display box of 12 packs. Great Value less than a �1.00 each 12 Piece cosmetic brush set. 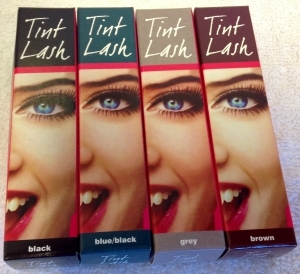 black, blue/black, grey and brown. 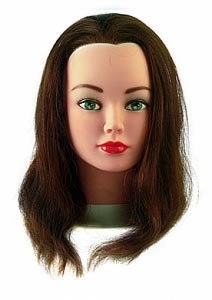 Training Head With 100% Light Brown Human Hair. Supplied with table top adjustable fixing clamp. RETRACTABLE the Folding diffuser with 9 fingers. Once folded, its small size enables convenient storage. Its made of thermal insulating silicone which grips the end of a dryer without the need for a spring. Qty Please state colour required. THE ONE SOLUTION YOU HAVE ALWAYS DREAMED OF. Spray on Damp or Dry Hair do NOT Rinse. *For every 6 bottles ordered 1 extra bottle will be supplied free of charge. Cordless battery operated quick and easy to use for close trimming in awkward places.